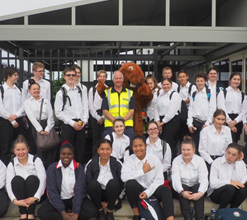 In 2017 the City of Armadale launched its youth career development program modelled on the Kwinana Industry Council's award-winning iProjects. After the successful outcomes of the pilot program, the City, alongside key education and industry partners will run the program again over seven weeks between July and August. Armadale Aspire is aimed at increasing job-readiness, broadening young local’s horizons and introducing the students to the variety of diverse career opportunities within their own region. 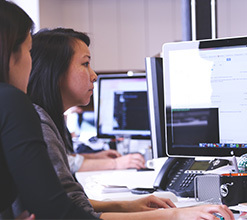 In addition to incorporating a series of career-development workshops such as resume writing and interview techniques, the program provides industry excursions and the opportunity to meet potential employers, providing real life experience while exposing them to a variety of roles and industries locally. The City is now looking for businesses to get involved in Aspire 2019. The City would like to attract a broad range of businesses to take part in Aspire for industry excursions. To discuss opportunities contact with the City’s Economic Development Officer on (08) 9394 5208 or email tholland@armadale.wa.gov.au. For more information visit armadale.wa.gov.au/armadale-aspire-career-development-program. Would you like to learn how to increase your ability to tender for contracts from the City of Armadale? The City of Armadale is pleased to announce a new initiative for local businesses and suppliers. The Armadale Local Supplier Program will assist businesses that operate in the Armadale area and surrounding regions to build their ability to compete with other companies in making submissions and increase their chances of obtaining work with the City. The City of Armadale would like to invite all local businesses and business owners to our first information session where we will outline the success factors, requirements and pitfalls of making tender submissions. 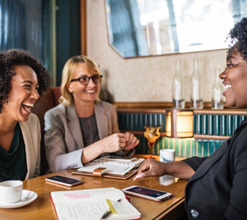 Build your businesses capacity to win work with the City and other government organisations who tender for the provision of goods and/or services. Increase the representation of local small businesses within the City’s supply chain. Any business looking to better understand how the City undertakes its tendering procurement functions. If you own or operate a business in the Armadale region or surrounding areas. We encourage you to refer others in your business network to this event. Details of the first information in the session in the series are detailed below. 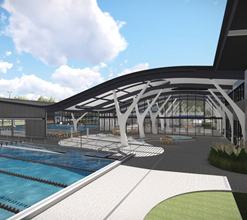 Enjoy the sweet perks of a discounted Foundation Membership, available for a strictly limited time only until Armadale Fitness & Aquatic Centre (AFAC) opens on 11 March! AFAC offers a range of memberships to suit your needs. With no lock-in contracts and membership options from as little as $12.50 per week for Fitness, and $10 per week for Aquatic, join now for these great deals. Ready to take advantage of value for money Foundation Membership prices? To become a member simply sign up online at https://envibe.armadale.wa.gov.au or visit active.armadale.wa.gov.au for more details. Foundation Membership prices will be available for a strictly limited time only until AFAC opens on 11 March so get in quick! 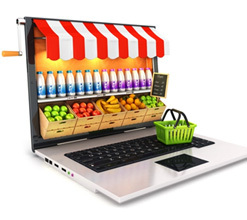 This workshop will show you what platforms are best to sell your business product online. 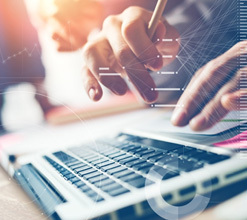 Find the secrets to identifying what your customers are looking for when buying online and understand the key insights into the e-commerce fundamentals. This workshop is open to all types of businesses. Please note that this is a free workshop available to small businesses as part of the Small Business Development Corporation’s Business Local outreach service. Places are limited. Business Armadale will be holding a speed networking event in April after the success of their last one. Come along to meet local women in business and promote your own business. For more information, tickets, and other Business Armadale events visit their website. Are you keen to grow your small business but just don’t have the headspace and time to think about it? Join Australia’s small business leaders at a Small Business Fair near you in February. You will be able to tap into Government services, financial incentives and digital tools to take your small business to the next level. investing in yourself as an investment in your business. From 1 January it became illegal for any retailer in Western Australia to supply lightweight plastic shopping bags. The Department of Water and Environmental Regulation and the National Retail Association have collaborated to launch a state-wide campaign kit containing materials encouraging people to remember their reusable bags. Many businesses have already made the transition away from lightweight plastic bags, however some consumers are still unaware that the ban also applies to small and medium businesses. The City is encouraging retailers and shoppers to adopt these changes. The campaign has been promoted under the slogan of ‘Thank You WA’ and has received positive feedback with well over 1 million impressions since the beginning of the year. 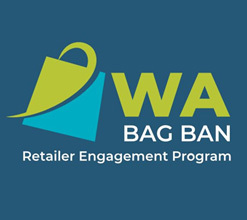 The full campaign kit is available at the WA Bag Ban website. 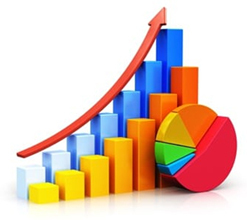 The Westport Taskforce has released its first progress report, Westport: What we have found so far. The report can be downloaded from https://www.mysaytransport.wa.gov.au/WWHFSF. The report provides long-term container trade forecasts that confirm the need to plan new freight infrastructure. It also summarises the constraints facing the current port facilities at Fremantle, Kwinana and Bunbury in terms of operational capacity, road and rail networks, land availability and environmental and social considerations. Westport is now undertaking detailed investigation of the eight strategic options outlined in WWHFSH. From this list, the best long-term solutions will be identified for the final Strategy. To learn more and have your say visit mysaytransport.wa.gov.au/westport. Education has moved from the City’s third largest employer by employment (2016) to the City’s second largest industry (2017) and the value-add is $222.1m, 10.4 % GRP (compared to Greater Perth 5.5%). This value add is up $34.9m from last year which shows the fast growing contribution education and training is providing to the economy. Primary and secondary aged schoolers represent 17.5% of the total City of Armadale population.That equates to filling the RAC Arena in Perth to its full capacity.